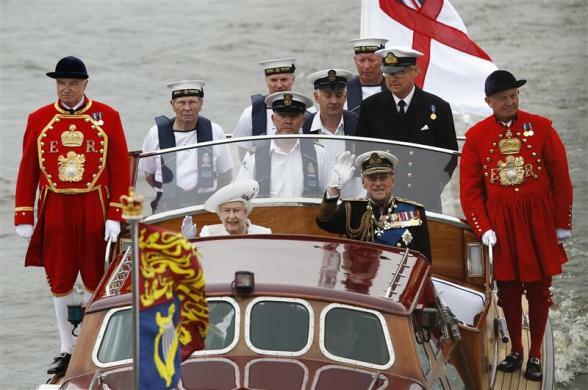 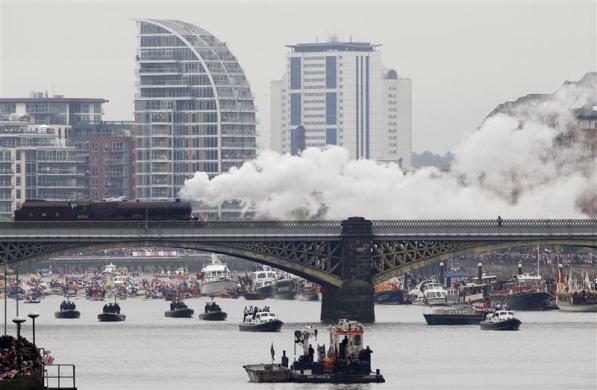 Queen Elizabeth joined a spectacular armada of 1,000 vessels on Sunday for the most dazzling display of British pageantry seen on London's River Thames for 350 years, watched by cheering crowds celebrating her 60th year on the throne. 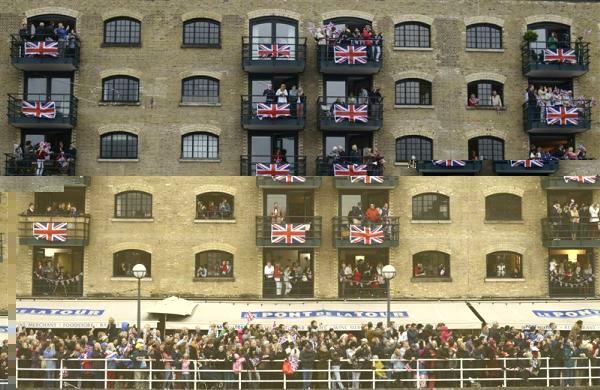 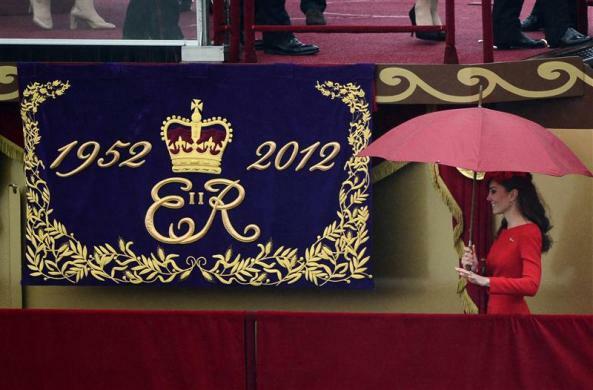 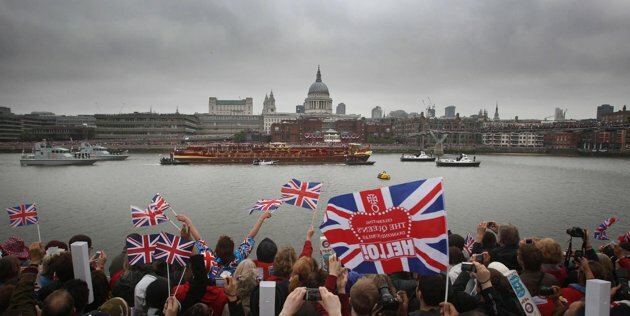 Typically inclement British weather failed to dampen enthusiasm, with hundreds of thousands of onlookers, waving "Union Jack" flags, massed on the riverbanks to catch a glimpse of the procession along the seven mile (11 km route). 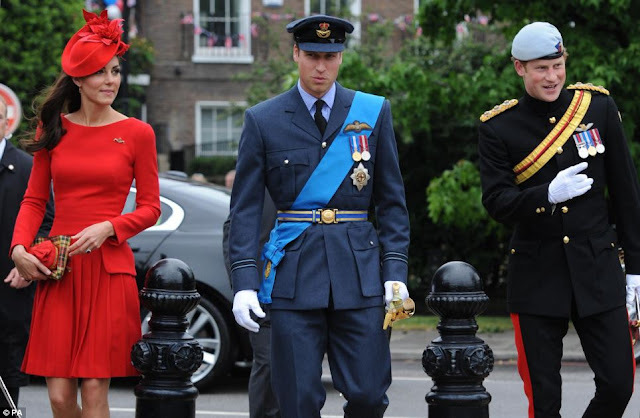 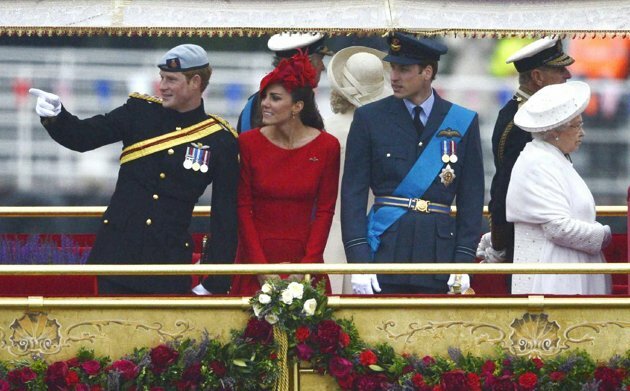 They were accompanied on the barge by heir-to-the-throne Prince Charles, his eldest son Prince William and new wife Kate, a global fashion trendsetter who wore a vivid red Alexander McQueen dress and matching hat. 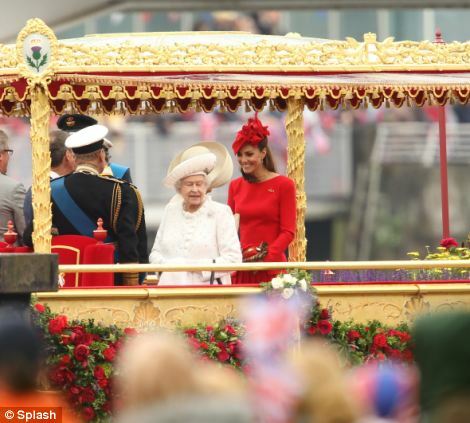 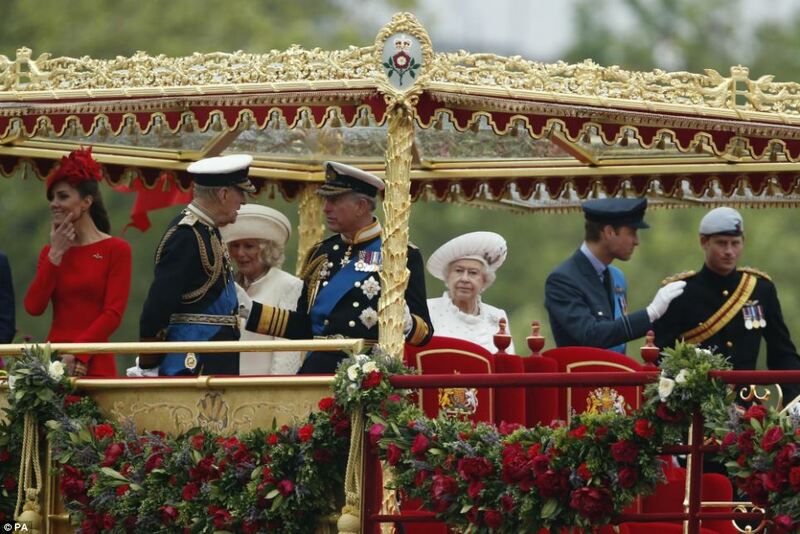 The queen, wearing a silver and white dress with a matching coat, smiled broadly and waved to the crowds from the royal barge, "The Spirit of Chartwell", alongside her 90-year-old husband Prince Philip. 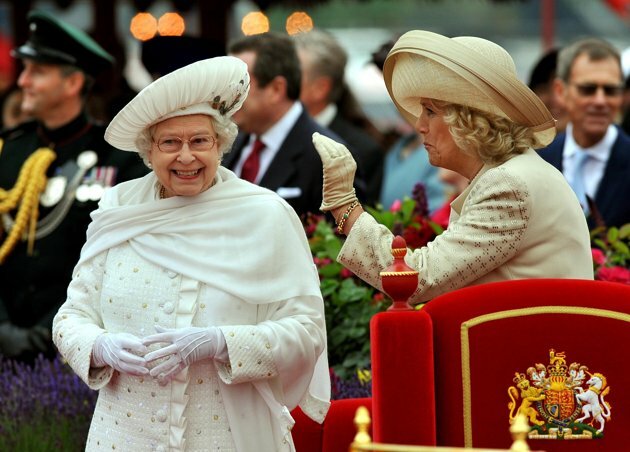 Up and down the country, organizers said millions of people attended diamond jubilee street parties in honor of the 86-year-old sovereign, the only British monarch after Queen Victoria to have sat on the throne for 60 years.